Time tracking software is an important tool for freelancers and entrepreneurs. 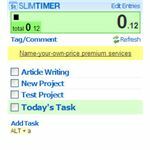 Read the following SlimTimer review to see how easy it is to track projects and keep your billable hours organized. 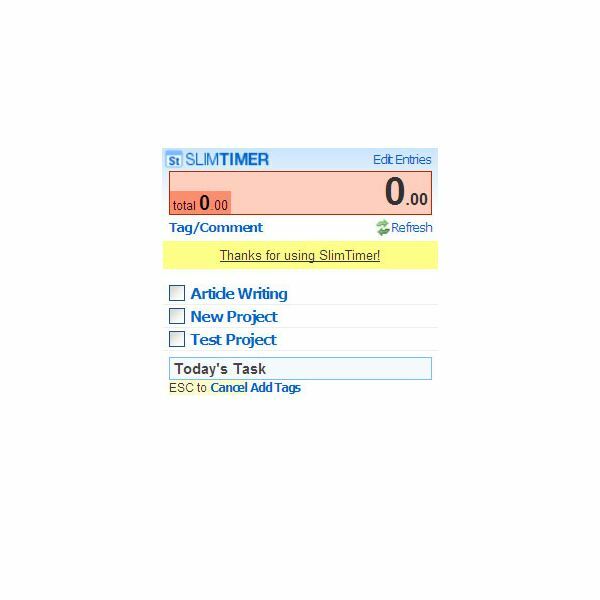 SlimTimer is a free web-based timeclock that keeps track of your projects easily online without the use of timesheets. 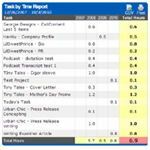 An excellent tool for entrepreneurs, users can create tasks, track time spent, and download reports, allowing small business owners to manage their clients and projects efficiently. 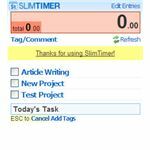 Read more below in my SlimTimer review as I analyze the features and provide details on how to get yourself up and running on SlimTimer in no time. 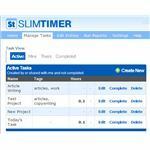 By providing a service that runs from one's browser, SlimTimer allows users to tag projects and share them with co-workers as well as run reports. Users receive the optimal features of a robust software without the distraction or time-wasting that can occur with more complicated programs. 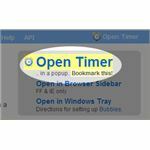 SlimTimer is extremely easy to use. Users can sign up for an account and be tracking their projects in a few quick clicks of the mouse. 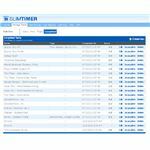 Running reports, editing entries and adding new tasks is also a breeze using SlimTimer's intuitive dashboard. SlimTimer can also be shared with co-workers by associating coworkers and reporters with certain task tags. Coworkers can log time on tasks, mark tasks as complete, and run reports about tasks. Reporters can run reports of time logged on tasks. 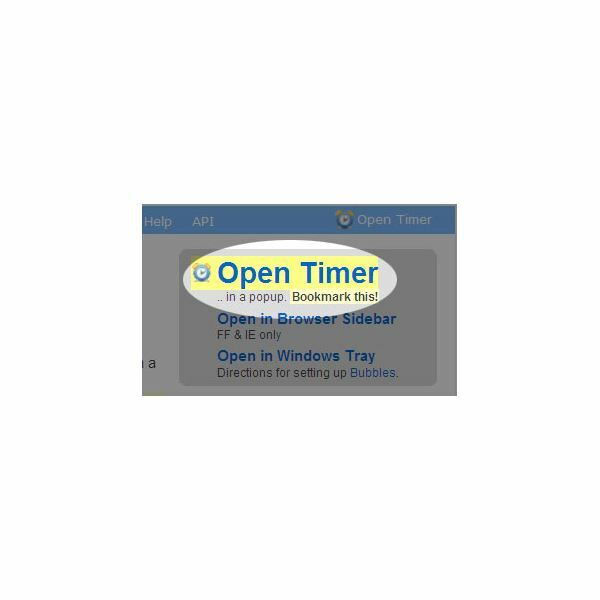 Once logged in, one simply clicks on the Open Timer link on the right-hand side of the page. A smaller window will pop up which includes a listing of all projects. If you have not yet added any projects, click the Add Task link, type the name of your project in the form field that appears and hit enter. The task will be saved and added to your list so you can start tracking your time spent on it. To start the timer, simply click the name of the project you wish to track. The timer at the top of the pop-up window will turn green and start to count. To stop timing, simply click the name of the project again. Managing and editing tasks is just as easy. Click the appropriate link in the top navigation menu to view tasks, time spent or to edit or mark them as completed. Tags make it easy to organize and search for tasks in the SlimTimer dashboard. As a free tool, the value of SlimTimer cannot be beat. 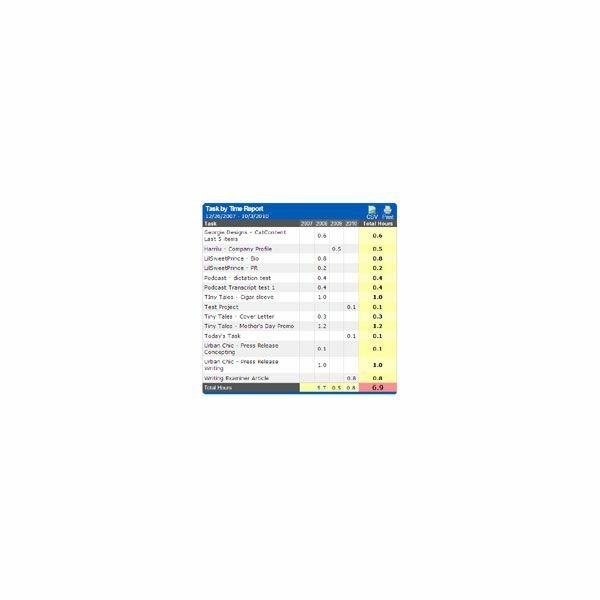 SlimTimer’s “Name Your Price" model analyzes your use and estimates how much it could cost to upgrade to their premium features based on how much you use the service per week. However, users can also name their price to upgrade, allowing budget-conscious entrepreneurs the freedom to use upgraded features at a price that suits their business. 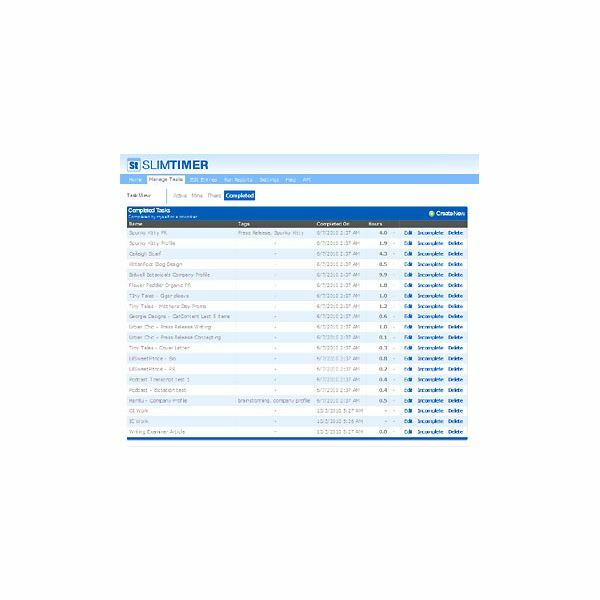 SlimTimer offers email support for premium users only, but one can contact their general support. They also offer a space for users to make suggestions for future software developments and service add ons and vote on user-submitted ideas. The UserVoice is a forum where you can give your feedback and often, enhancements are adopted by the SlimTimer creators. Based on my SlimTimer review, the software is an excellent, no-fuss tool to keep track of your tasks. 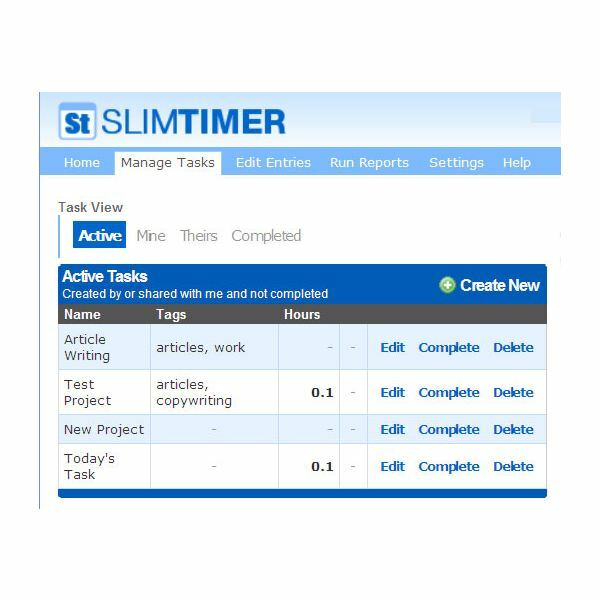 Most well-suited for users who work on an individual basis and with a few basic features, such as the ability to run reports and download your timesheets, SlimTimer allows you to manage projects and keep track of your billable hours for client projects.